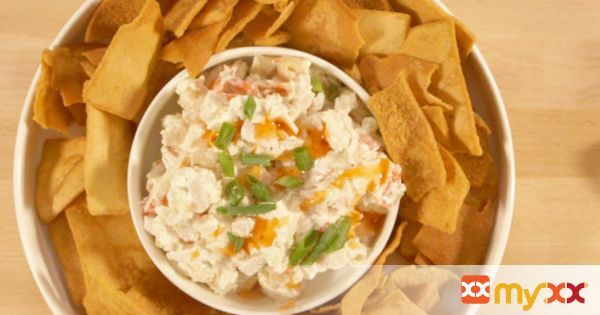 Serve this creamy Crab Rangoon Dip at your next gathering! The hint of lemon and soy combined with the subtle heat create the perfect mix of flavor. 2. To serve, drizzle the cold or warm dip with sweet chili sauce and garnish with additional sliced green onion. Serve with pita chips.